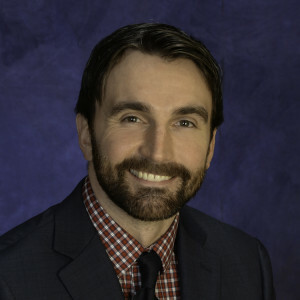 Evan S. McBroom, Ph.D. brings much experience working with children and adolescents, as well as adults, addressing a variety of issues including anxiety, trauma, grief, depression, sexual abuse, anger, aggression, ADHD, and eating disorders as well as others. Dr. McBroom earned his Masters of Arts in psychology and Doctorate of Philosophy in clinical psychology from the University of Toledo. He has a Bachelor of Arts in psychology and sociology from Bowling Green State University. While earning his doctorate, Dr. McBroom’s research focused on video game violence and video game addiction. This is an area he is especially interested in as he played video games as a child. Since he was an adolescent, he knew he wanted to help others. Dr. McBroom recalls working at a neighborhood grocery store as a teenager and how all the families who came in would know him and talk to him as he bagged their groceries. He said listening to children talk to him in the checkout line is where he found his calling. He cares about helping youth and adults make positive choices that lead them to being successful and happy.